Two sisters disguise themselves as men to muster into the Confederate army in the fall of 1864 to join the men they love. But the situation grows desperate for Hood’s Army of Tennessee at the Battle of Franklin. 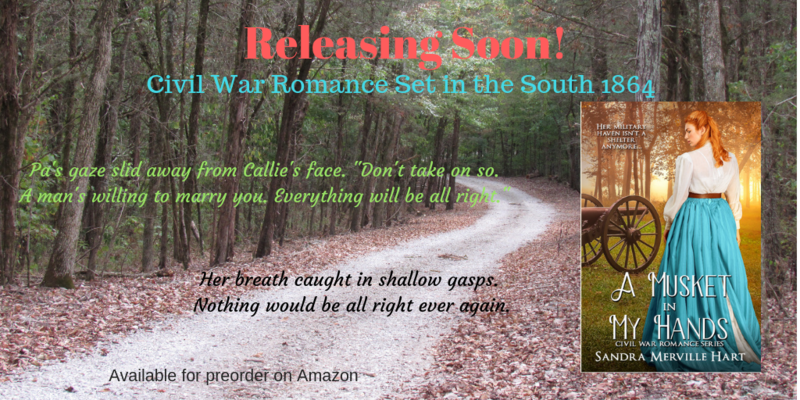 The dratted war had taken the best the South had to give … and demanded more. Enter this Rafflecopter giveaway for a chance to win a copy of A Musket in My Hands, my Civil War novel that releases next week! Enter for a Chance to Win A Rebel in My House Audiobook! Enter this Rafflecopter giveaway for a chance to win a FREE Audiobook version of A Rebel in My House! An injured Confederate soldier on her doorstep leaves a Gettysburg seamstress with a heart-wrenching decision. 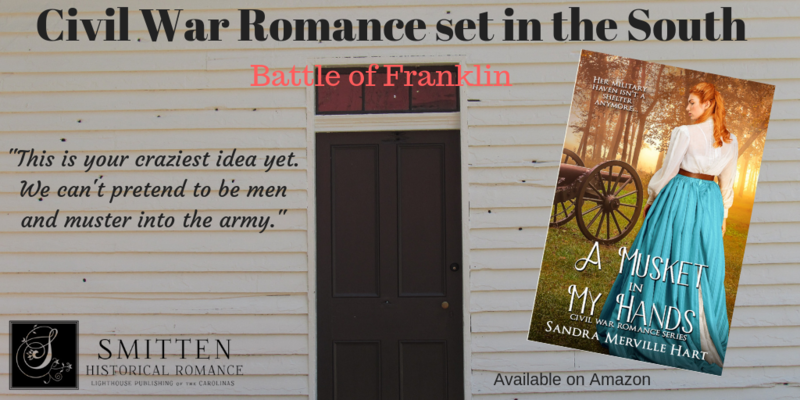 A novel of love and sacrifice set during one of our nation’s most famous battles. This nonfiction resource book traces the history of the Confederate Army of Tennessee from the beginning of the Civil War in 1861 to its ending in 1865. When Tennessee voted to secede from the Union on June 1, 1861, volunteer military organizations were already in training. Drums and fifes played in the streets. Bands played Dixie and Bonnie Blue Flag. This excellent book, published in 1941, provided many fascinating details not easily found in later publications. For instance, I loved learning more about Sherman’s takeover of Atlanta. When he expelled the citizens from the city, the Army of Tennessee assisted the exiles as much as possible. 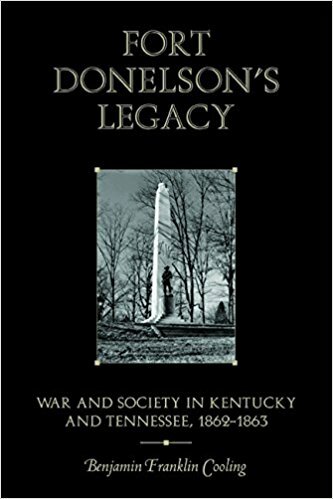 Excellent book for Civil War research and history lovers. 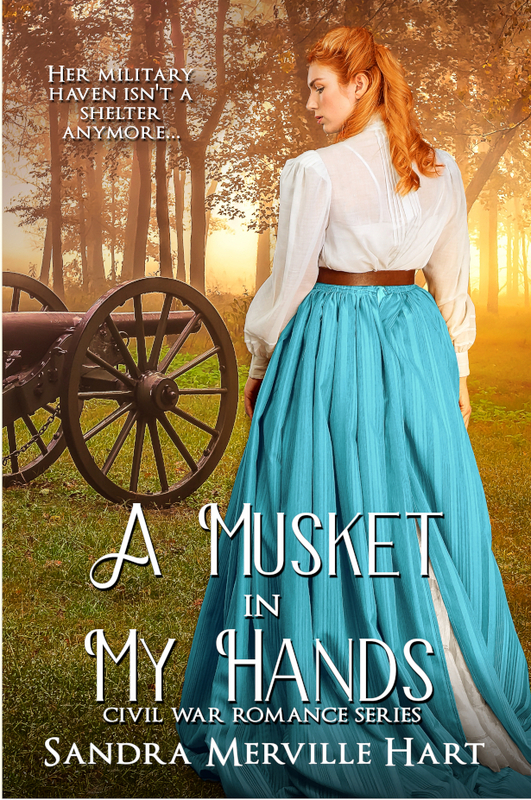 There is a scene my Civil War romance, A Musket in My Hands, where spoon bread is a great treat for Confederate soldiers in the Army of Tennessee. 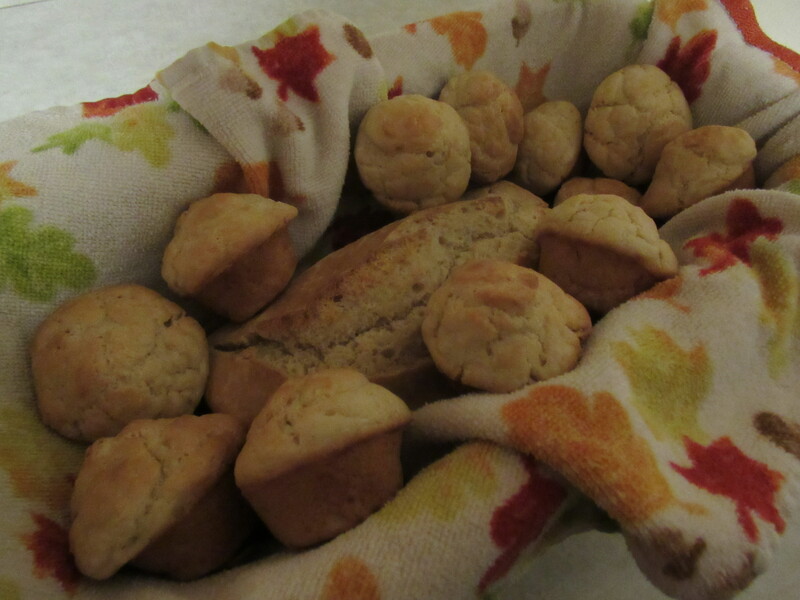 A spoon bread recipe from Confederate Home Cooking uses cornmeal, not flour as this biscuit recipe from Buckeye Cookery and Practical Housekeeping cookbook does. The bread recipe also begins with scalding the milk, which the Buckeye Cookery cook (Mrs. A.B. Morey) does not mention for making the biscuits. Flour was pretty scarce in most of the South after the Civil War started. By 1864—when my story begins—corn meal was a staple for most of the breads for Southerners. Pour 2 cups of buttermilk into a medium-sized mixing bowl. Stir in one teaspoon of baking soda and one teaspoon of salt. 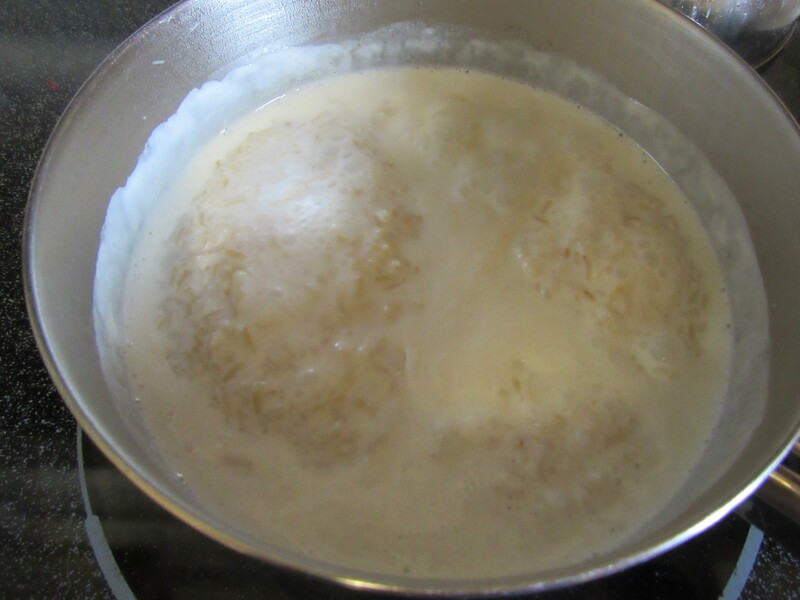 Melt 2 tablespoons of shortening and stir into the mixture. Then Mrs. Morey advises adding enough flour to achieve a stiff batter. This was 2 ½ cups of flour for me. These were dropped by spoon into a gem pan. These pans resemble modern muffin pans. I sprayed my mini muffin pan with cooking spray and dropped the thick batter into the small slots. Bake the biscuits at 400 degrees until lightly browned, about twenty minutes—longer if using larger muffin pans. The biscuits were good but somewhat bland. It seemed that this type of bread was probably spread with jellies, jams, and fruit butters such as apple butter. I tried it with apple butter and liked it much better. Though my husband liked them plain, I’m thinking of making sausage gravy to go with the leftover biscuits from this batch. Yum! 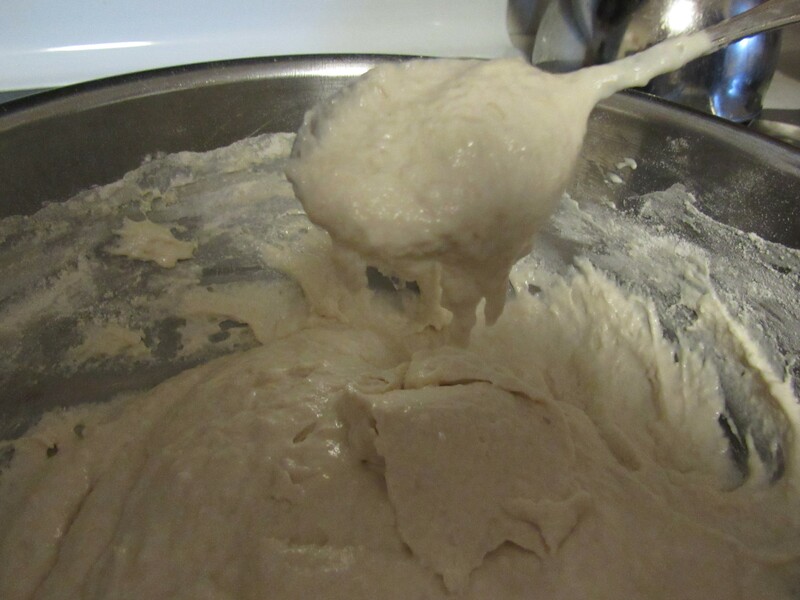 I had extra batter so I baked the spoon biscuit dough in a small loaf pan. This made a thick, hearty loaf of bread. Mitchell, Patricia B. Confederate Home Cooking, 1991. 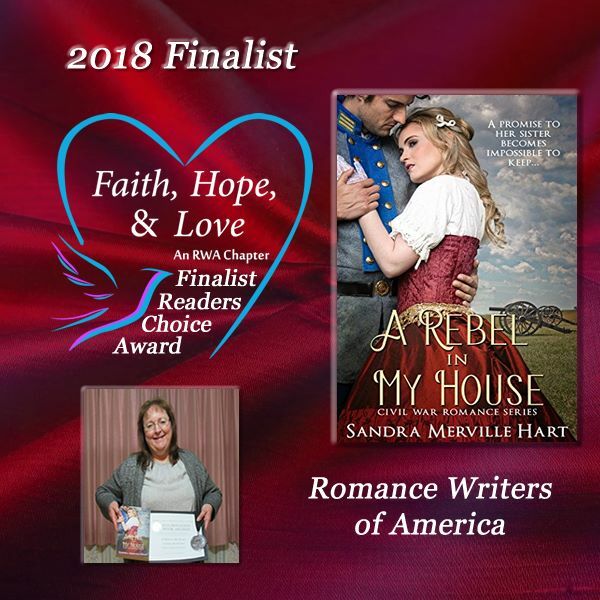 Sandra’s third Civil War romance, A Musket in My Hands, follows two sisters as they disguise themselves as soldiers and join the men they love in the Confederate army–just in time for the war to grow progressively difficult for Southern soldiers. Tough marches lead them to the Battle of Franklin. How can anyone survive? This novel releases on November 8, 2018! I don’t always read Civil War novels, because I’m not into graphic battle scenes. Sandra Merville Hart’s A Musket in My Hands is a wonderful book. The characters grab your heart right from the beginning and they take you through a unique story line right into battles, where I followed willingly. The book isn’t battle-driven. It’s character driven, and the reader becomes intimately acquainted with these people who had to face things they never dreamed about happening. This is my favorite Civil War novel. I highly recommend it. 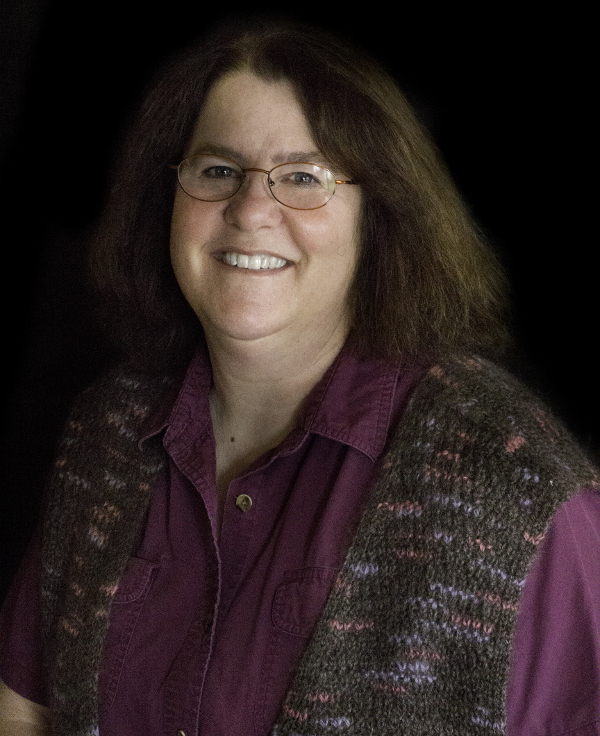 Lena Nelson Dooley – bestselling, multiple-award-winning author of 12 Gifts of Christmas, Esther’s Temptation, and Great Lakes Lighthouse Brides. Available for preorder on Amazon – buy today for prerelease prices! The Civil War kindled patriotic feelings in men and women on both sides of the conflict. Women who desired to serve their country as soldiers had to disguise themselves as men. They also faced challenges in camp life and in marching with men. The first thing a woman had to do was sew or buy men’s clothing. She’d need trousers, a coat, shoes, and men’s blouses. Padding strategically sewn on undergarments helped mask female curves. Loreta Velazquez, who disguised herself as Confederate Lieutenant Harry T. Buford, used wire net shields to hide her shape. The women also had to cut their long hair. Short hair and men’s clothing enabled her to pass as a soldier. As the war progressed, requirements for physical examinations relaxed. The army needed soldiers and didn’t want to find reasons not to accept them. They had to have teeth so they could tear cartridges open. They needed a trigger finger to fire muskets and rifles. Life in army camps were challenging. Women used the privacy of the woods for nature calls instead of latrines. Poor nutrition, long marches, intense physical activities, and weight loss might have caused the women’s menstruation to cease, especially during tough campaigns. Soldiers slept fully clothed, wearing coat and shoes, so this helped the women’s disguise. Bathing was infrequent yet there were men who also preferred privacy when the opportunity for bathing arose. Women claimed to be younger than they were to explain the lack of whiskers. They kept their coats buttoned all the way to hide the missing Adam’s apple. They had to remember to talk like a man. And then there were the challenges of battle. The fear. The chaos. Officers shouting orders. When the noise of battle was too loud for soldiers to hear their officers shout orders, buglers and drummers played them. Soldiers had to know what the tunes meant. No matter the reason for joining, women who served as Civil War soldiers were courageous. This nonfiction resource book begins with the Confederate surrenders of Fort Henry and Fort Donelson in February, 1862. A few days later, the Confederates moved from Nashville to Murfreesboro. Citizens in the middle section of Tennessee learned of this with sinking hearts. They knew tough times lay ahead. They could not have foreseen just how difficult those bad times would become. After the Battle of Shiloh (April 6-7, 1862) Union General Grant stopped ordering his troops to protect private property regardless of owner loyalty. This book shows what Tennessee citizens endured in 1862-1863, and how their circumstances grew progressively worse. 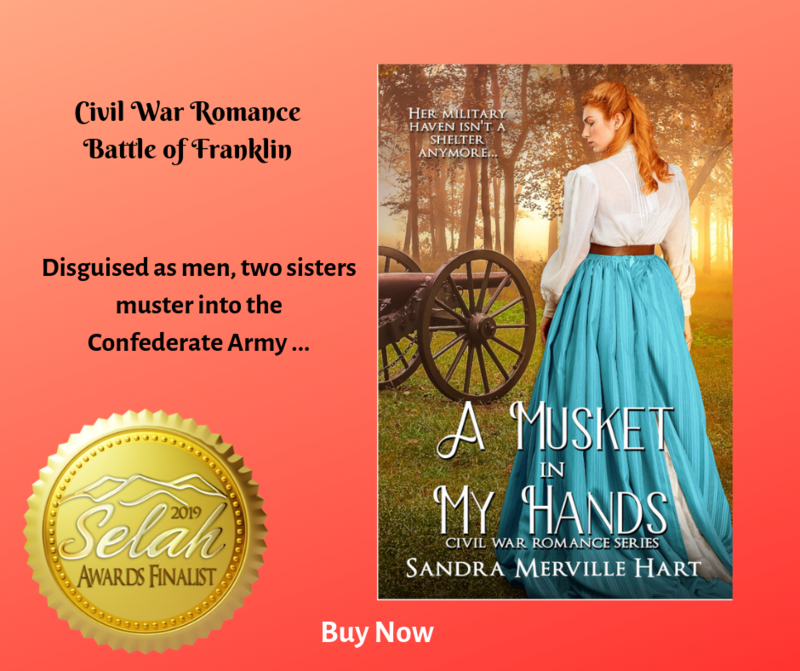 There is a scene my Civil War romance A Musket in My Hands where rice pudding is a great treat for sisters who have disguised themselves as Confederate soldiers in the Army of Tennessee. This recipe from Buckeye Cookery and Practical Housekeeping cookbook published in 1877 would have been similar to the pudding served to Callie and Louisa. Stir a teaspoon of corn starch into 2 cups of milk. Pour this into the cooked rice. Return to a boil. Beat ½ cup of sugar into the egg yolks and stir into the rice mixture. Remove from heat. Grate the rind of 1 lemon. Stir this into the rice along with the juice of 1 lemon. Spoon the mixture into custard cups, leaving room at the top for meringue topping. Pour an inch or two of water into a large baking dish and arrange the custard cups inside. Toward the end of that time, add 2 tablespoons of sugar to the reserved egg whites and beat with a mixer until white and stiff. 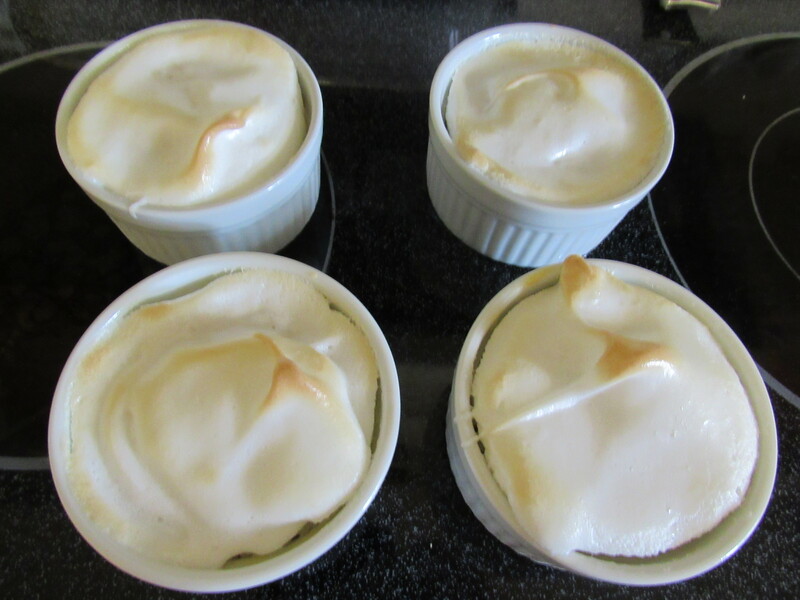 Remove the pudding from the oven and spread the meringue over the top. Return the pudding to the over to lightly brown the topping. I allowed these to cool before eating. I like rice dishes and I liked this dessert. The tangy taste of the lemon is there but did not overpower the dish. The sweet taste was not overly sweet. My husband also enjoyed the pudding. Today’s post was written by fellow writer, editor, and friend, Pegg Thomas. Welcome back to Historical Nibbles, Pegg! 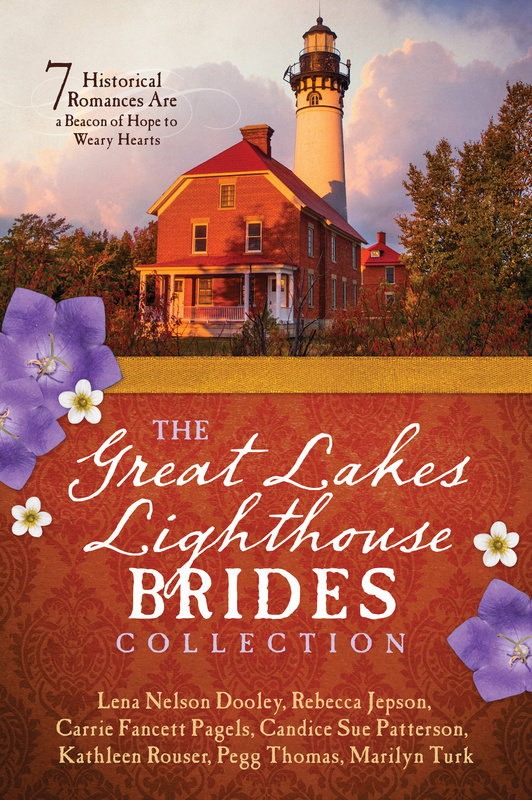 The Great Lakes Lighthouse Brides collection was my baby from the start. I wanted to offer Barbour Publishing a collection that showcased our beautiful Great Lakes and honored the memory of the men and women who pioneered this area. Lighthouses—and the men and women who manned them—were essential to both bringing people and supplies into this vast wilderness and shipping valuable resources out to a growing nation. The Great Lakes are awe-inspiring in many ways, inland seas of fresh water teeming with fish and surrounded by dazzling sand dunes and towering forests. They were also treacherous. Violent storms, hidden shoals, and thick fogs made travel by boat dangerous. The lighthouses, often situated in remote, isolated areas, were literally the saving grace for many a crew. Lighthouse keepers and their families had to be self-sufficient and hardy people. Often days of travel away from the nearest town, they had to raise, hunt, or catch much of their own food. Most did not winter at the lighthouse, but some did. Those also had to preserve enough to see them through the long, dark months of the year. 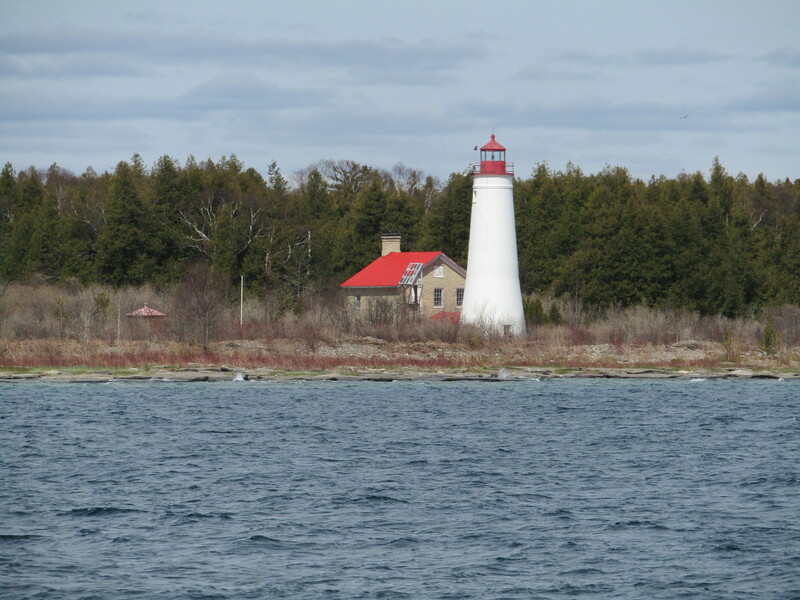 Aside from keeping the lights burning, lighthouse keepers also assisted in rescue missions, with or without the help of a life-saving station. Many heroic stories have survived through the years of men and women who risked their own lives to save those wrecked on the lakes. The rest of the growing nation desperately needed the raw materials of iron, copper, and other metals of this area. Steel mills back east needed it to turn out hundreds of thousands of rails the country needed for the railway system that was spanning from coast to coast. The lumber was needed for building cities and homes. The area I currently live in was lumbered off in 1871 and 1872 to rebuild Chicago after the great fire. I’m proud to be a part of this collection that shares these historical romances inspired by the people who pioneered our northern shores. Anna’s dream of running the lighthouse was difficult enough to achieve, but then a Russian stowaway was left on the island, and that complicated everything.